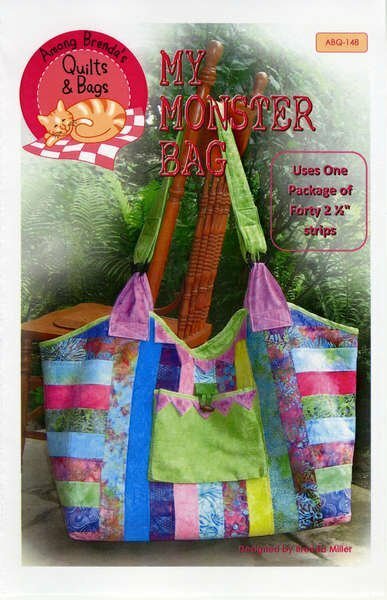 This bag is so BIG that you will be able to fit a King Size Quilt in it and have room for more! I love this bag I take it with me everywhere. It’s easy to make and can be made out of your favorite colors of fabric. The pattern calls for a strip set of 40 – 2-½” strips plus yardage and don’t forget the notions.